EB Horsman Product Profile: What is the Night Falcon From Cooper? What is the Night Falcon From Cooper? Superior, Affordable Performance Combining LED technology with forward thinking sustainability, the Night FalconTM LED floodlight is lighting the way with a spotlight on superior performance. 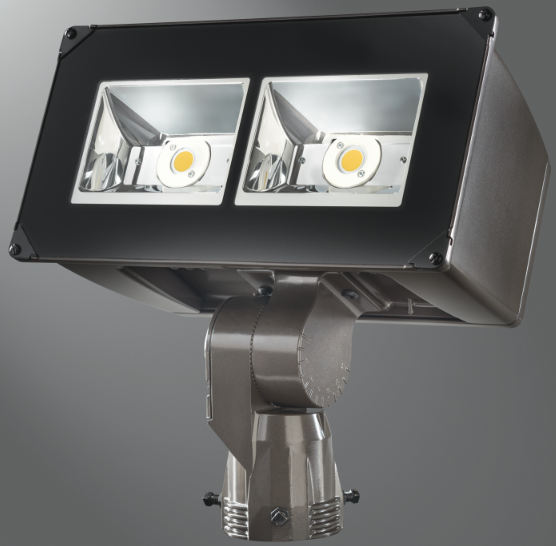 The Night Falcon LED floodlight utilizes precision engineered optics delivering superior uniformity and excellent illumination to the targeted application. Maximum fixture spacing is achieved utilizing a 6H x 6V NEMA wide distribution. Whether the project is lighting a large site or building facade for a low initial investment, the Night Falcon LED floodlight is the solution. Significant Energy Savings With lumen packages ranging from 9,400 to 14,600 nominal lumens, the Night Falcon LED floodlight provides greater than 75 percent in energy and maintenance savings over traditional HID systems. Finish Five-stage super TGIC paint resists extreme weather conditions, while providing optimal color and gloss retention. Available in carbon bronze (standard), summit white, grey, black, bronze, white, dark platinum or graphite metallic. RAL and custom colors matches available.